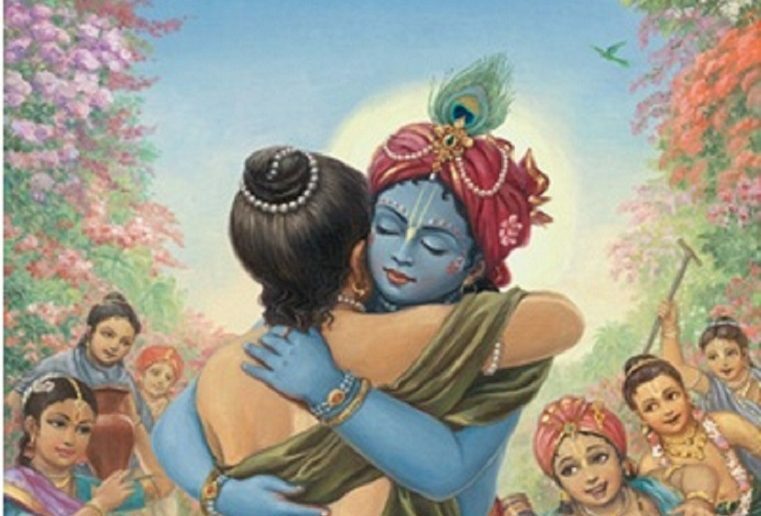 We all feel friendship in our relationship with Krsna where we feel great trust that Krsna will always protect us and that he is acting as our friend and our well-wisher. No matter happens, we are not alone in this world, Krsna is with us. It is said that in the past, sannyasis would give up the world and go into the forest to become fearless. 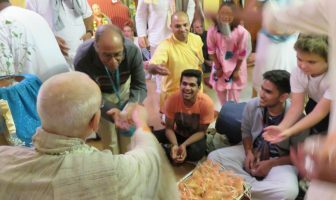 There were two duties for a sannyasi. One was jñāna-yoga-vyavasthitiḥ (Bhagavad-gita 16.1), to develop knowledge and the other is abhayaṁ sattva-saṁśuddhir (Bhagavad-gita 16.1), to develop fearlessness. They would just go to the forest where there were snakes and other wild animals and would just rely on Krsna. So trust in Krsna is important but not blind trust. 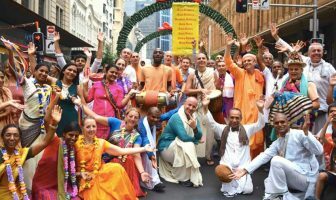 We do not close our eyes and walk across the highway and trust in Krsna, not like that. We use our intelligence but we trust in Krsna at the same time for the result of our actions. He is our friend. He is definitely on our side.